In which film does my beloved Shammi Kapoor meet a gruesome death, when he climbs into a large urn to escape detection by his beloved’s father. 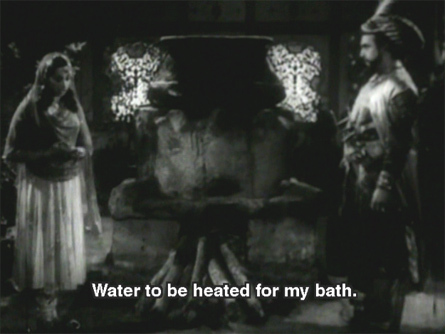 Her father, suspecting that he’s hiding in there, orders the firewood underneath it to be lit, and he roasts to death as his spineless beloved sings a sad song (needless to say, not my favorite film; it breaks my Cardinal Rule Number One for Hindi films: Shammi should never ever die). And in a new record time, Shweta is our winner! 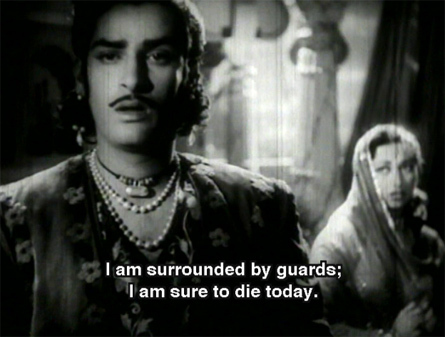 She knows that the film is 1954’s Shama Parwana with Suraiya (whom I wanted to slap). But at least Shammi saw it coming. Posted on April 20, 2008 at 4:20 pm in Hindi movies, Trivia time, Yahoo! Shammi! | RSS feed You can skip to the end and leave a reply. Shama-Parwana (1954) I believe, with Suraiya as Shama :) But how truly horrible- boiled/roasted Shammi- shudder, double shudder. Shudder, shudder indeed! I was planning to buy this one but will steer clear of it. Thanks a lot for the trivia memsaab! Didn’t think about the fact that it would be a spoiler…sorry!!! But it’s not one of my faves. Worth seeing only if you are a really diehard Shammi fan bent on seeing every one of his films (like me) and for the music—which is beautiful (Husnlal Bhagatram). Yay me- thanks Memsaab! I’ve read about the movie, and I am resolved never to watch it- Shammi cant die. Thats just not in the game plan, period. Thanks for the info! I will NEVER watch this movie if I can help it! Shama’s father must’ve fried brains to do such a thing. Shammi Kapoor, cannot be bumped off like this, in any movie. Have heard a couple of good songs from this one.